With the multitude of products meant for convenience in a vehicle’s passenger compartment, it is only natural to ask yourself, “What should I keep in my car?” We do not want a crowded area inside the vehicle, so we will only show you the essentials that everybody can find useful. After a long list of automotive interior accessories available in stores nowadays, we shortened it by focusing on the most important categories. We selected air fresheners, cup holders, garbage cans, organizers, phone mounts, portable DVD players, power inverters, safety equipment, and sun protection. Find out what is the best product for each category! Who wants a smelly car? Knowing everyone’s answer to that question, we made sure to include air fresheners or purifiers as car essentials. The main problem with most car air fresheners is that nauseating, strong scent coming from a small container that will only last for months. 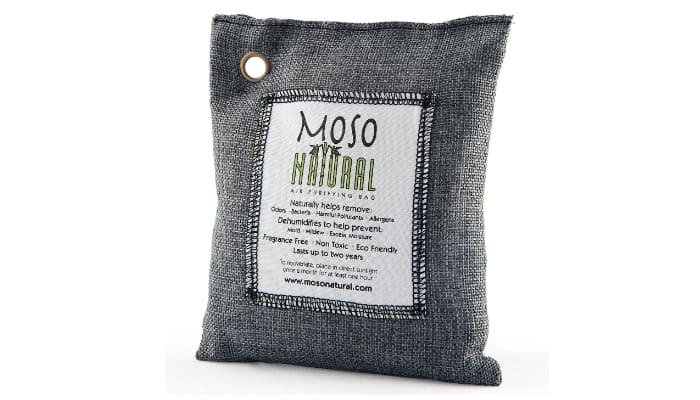 That is why Moso Natural Air Purifying Bag remains as the top air freshener for cars. It is an excellent odor eliminator, removing odors around the passenger compartment by absorbing them. It is better than scented ones since these air fresheners only conceal the odor, not eliminate it for good. Most car owners allow drinking beverages inside their vehicles. However, spills are inevitable in moving cars. Drinking while driving is also dangerous; it does not matter if the drink is non-alcoholic. To reduce the possibility of spills and accidents, cup holders can definitely get the job done. They need to be perfectly stable and universal to hold most cup sizes. 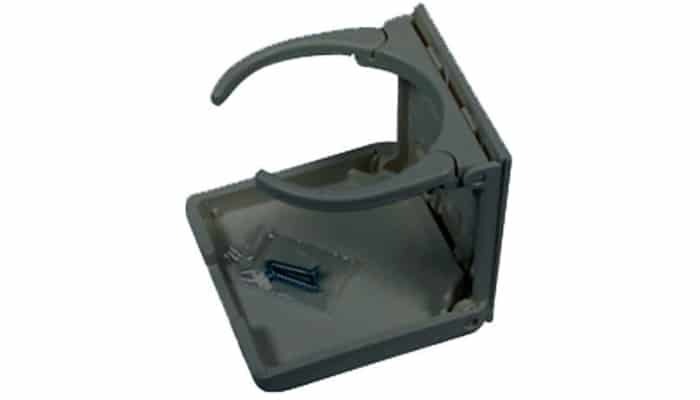 American Technology The Mugger Folding Cup Holder has the ideal design because it can be folded when not in use. Cup holders can be annoying as fixtures, so it is best if they can be folded. We are not talking about the usual metallic or plastic garbage can. The ones made for cars are typically made of firm, tough fabric that can expand when needed and collapse if not. Car waste bags are more useful for long travels since passengers need to consume food and drinks on the road. To ensure that you will never forget to bring it in your travels, just store the garbage bag inside your car. 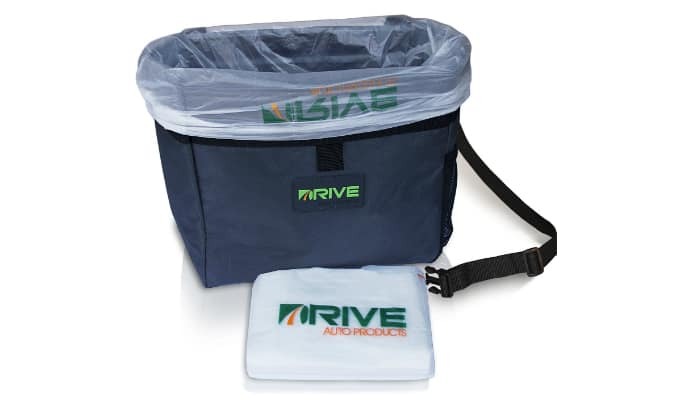 Drive Auto Products Car Garbage Can is a bestseller due to its smart design. It can securely hold liners for easier disposal. It is also waterproof and odor-proof. There are several organizers made for passenger compartments. Clutter inside the car is a hazard and must be solved immediately. Besides, it will only make your passengers uncomfortable. Isn’t that embarrassing? We are so happy to come across a product that is already a set of organizers. Visor organizers are perfect for drivers-slash-owners of the car. Meanwhile, backseat organizers are commonly bought by parents for their whole family to utilize. 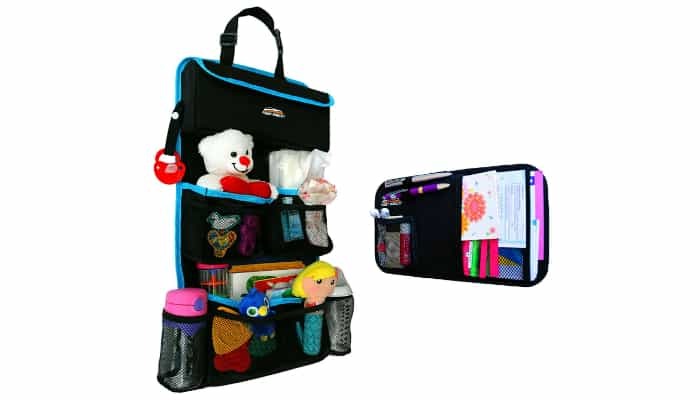 Fancy Mobility Backseat Organizer and its free visor organizer is a real treat. Authorities all over the world cannot stress this enough – never use a phone while driving. However, there is an obvious trick for that. Phone mounts for cars are important so drivers will never miss a thing, especially family emergencies and work-related matters, without compromising their safety. These are also handy when you are going to an unfamiliar place, hence the need for GPS. 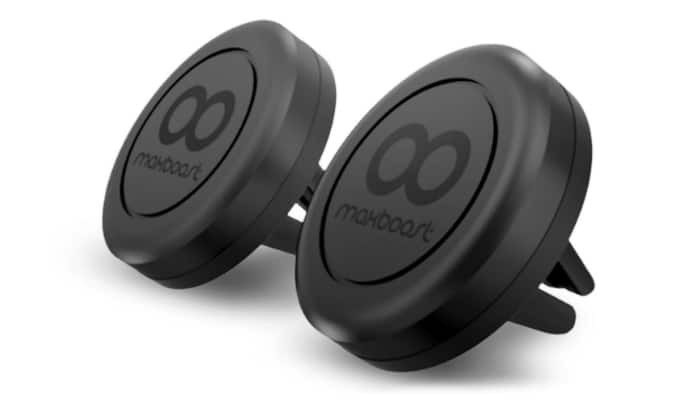 An excellent product for this category is Maxboost Car Universal Air Vent Magnetic Smartphone Mount. It is guaranteed to be extra sturdy, secure, and adjustable without damaging the car’s surface. Entertainment seems superficial to be considered as an essential concept, but you will definitely find it useful when you travel. Despite the emergence of new gadgets, many people still prefer to use DVD players. Video streaming is cool and all, but it can be useless if you are not connected online. Meanwhile, softcopies are also easy to use. Luckily, most portable DVD players are already compatible with different file types. 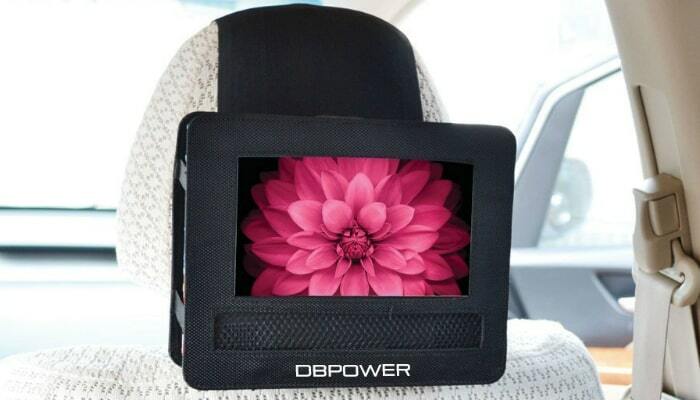 DBPOWER Portable DVD Player is a swivel and flip type, perfect for headrest mounts. It is ready for long travels because of its rechargeable battery. It is also versatile since it has an SD card slot and a USB port. Electricity is a necessity. Sadly, cars cannot provide that – unless we use power inverters. These devices are heaven-sent since they are the only ones that can convert the car battery’s DC power into AC, which is what you need for charging gadgets. They look like power banks, compact and lightweight. 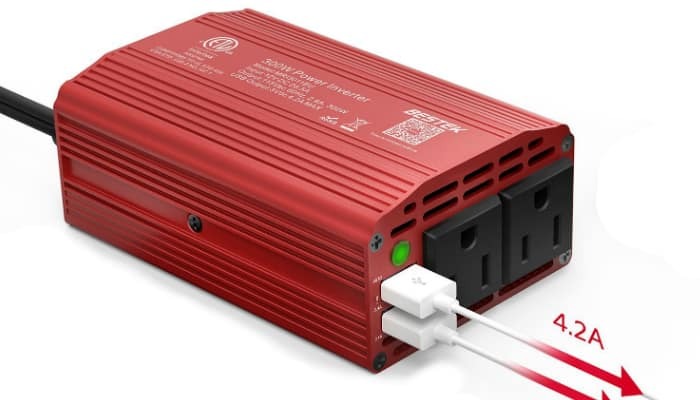 The all-time favorite of car owners, in general, is BESTEK Power Inverter. It can charge four devices at the same time using different modes: two AC outlets and two USB ports. More importantly, it does not overheat no matter how you maximize its outlets and ports. In this section, we came up with two major subcategories since safety is a vague word. Escape tools and first aid kits are crucial objects for the passenger compartment. The first one is obviously invented for emergency situations involving being trapped inside the car. Meanwhile, the latter focuses on tending wounds and injuries when an accident occurs. You may forget about the rest, but never safety equipment. Regarding escape tools, the most practical one is the Stander HandyBar Automotive Standing Aid Car Assist Handle that can also serve as a window breaker and a seatbelt cutter. Its design is just mind-blowing since it only looks like an additional built-in handle. However, in times of desperation, this product is unbelievably strong. 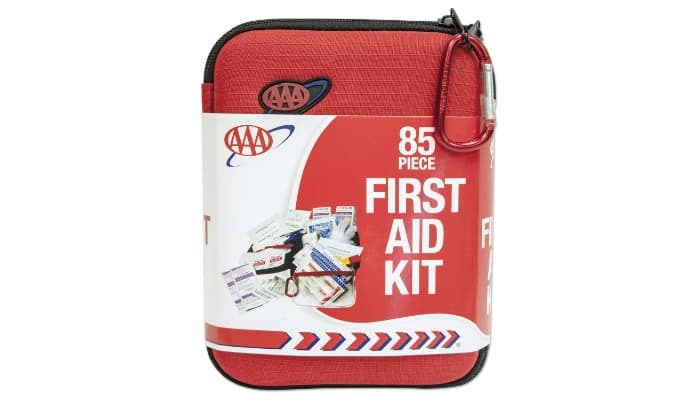 Next, we have the AAA 85 Piece Commuter First Aid Kit. It is meant for cars because of its very compact size and firm carry case that can be stored anywhere you want inside your vehicle. Do not let its size fool you; this first aid kit is packed with essentials inside. It is like opening a surprise gift. Aside from the fact that heat can make car seats burn like frying pans, it can also damage the vehicle’s interior. Car windows also enhance sunlight, blinding the driver and passengers. In this category, we will also separate it into two sections: side window and windshield sunshades. 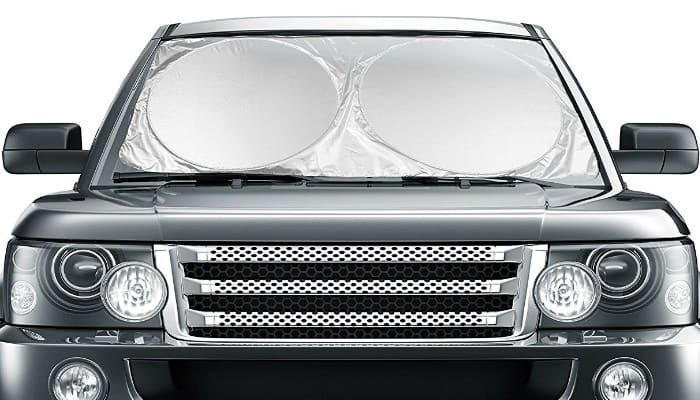 Coveted Shade Car Windshield Sunshade is an in-demand sun protection product. It is perfect when you park your car under the heat of the sun. Why? It is excellent for keeping the interior cool. It is also large enough to cover the whole windshield. Despite its huge size, it only takes seconds to install it. Just pop it up and spread the material all over the windshield. Meanwhile, Veneev Car Sun Shade can block more than 98 percent of the sun’s UV rays. These harmful elements should not enter your car especially if your passengers include babies and pets. This product is a nice deal since it also has a shade for the rear window. What Should I Keep in My Car? In summary, whenever you come across the question “What should I keep in my car,” just remember the basics we included in our list. Decorate the passenger compartment with needs such as air fresheners, cup holders, garbage cans, organizers, phone mounts, portable DVD players, power inverters, safety equipment, and sun protection. We recommend not going beyond these products to avoid overcrowding your vehicle with accessories, tools, and devices. On the other hand, you may check our guide on what to do in a flood when you’re in a car.